Yeah, so I am a shredder!!! The box started out as tall on all 4 sides as the bit still standing on the left. Shreddercat aka Kiki likes to make boxes her own. 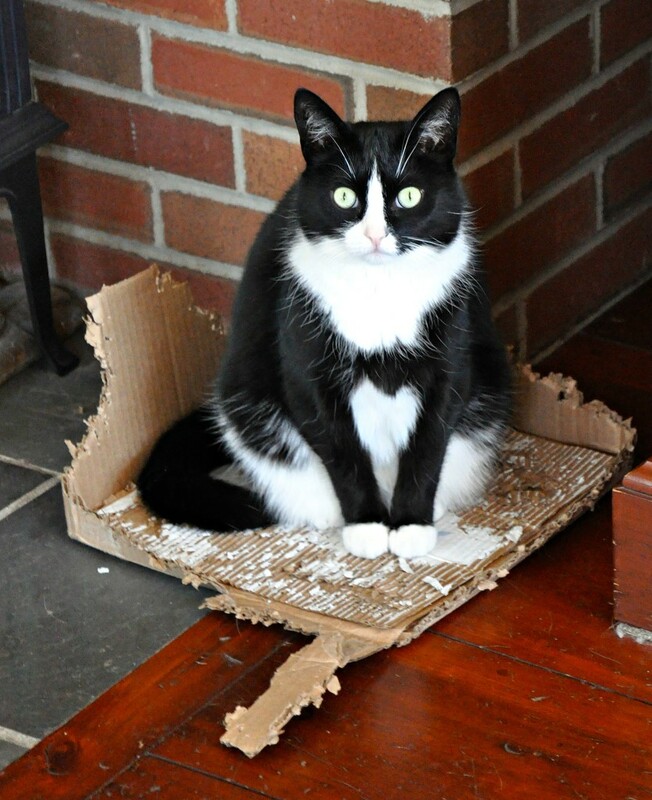 She bites off pieces and deposits them on the floor around the box. She still takes naps on it and still shreds. Kiki is our "grand cat" whom we are looking after for a year. Oh dear - so much to clear up but it may get rid of some aggressive tendencies! So funny to see what she does with her "special" box. You should do a collage of her and her box. It's the eyes! Makes me laugh every time I look at this! Fav! What a character! Are you sure she isn't a hamster in disguise? @allie912 Ha, you are too funny. @joansmor now you have me singing that song. @henrir I don't think i have that on Picmonkey. Thanks for my morning giggle!! I just love that the cat is a shredder machine, and then oses for you when the deed is done :) She deserves a fav! Aw such fun. She reminds me of Wilfred, the cat we had for 3 years in Cyprus. So funny! Better the cardboard box instead of the furniture! Very pretty kitty! Cute shot and lovely cat! Adorable indeed, ans such a cute Kiki Cat. She sounds like such a funny cat -- you captured her personality well in the portrait and I had to laugh when reading your narrative. I love the expression on her face. Great capture. Uh oh, her expression has me worried! This is so cute!